As the new school year creeps closer, one question you might deal with is what bulletin board/wall display you want to create. For me, I know that I am going to be focusing on Growth Mindset due to the new curriculum I am using. Click on the blue hyperlinks to see video clips and other resources on the subject. So here are a few bulletin boards I found while trolling Pinterest, etc. I’ll probably merge a few of these ideas to create my bulletin board. (Btw, If you are interested in using this concept in your program, you will want to check out a new book/curriculum for classes and groups… Mindset Matters! Published by National Center for Youth Issues). Signs like this are at the 4 corners of the display. Everything you need to create this is available at the link below. 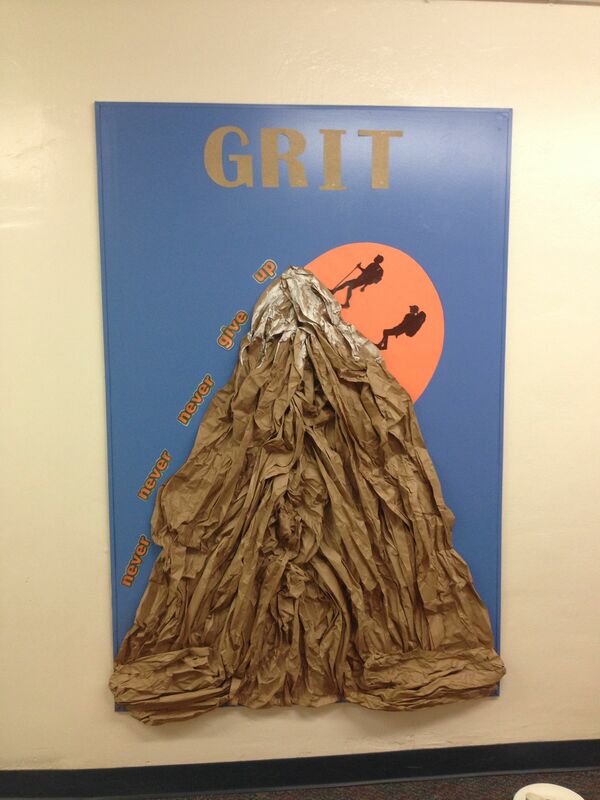 Idea #1: Love this idea for GRIT. Definitely one of the front runners in what I might replicate. Idea #2: I’ve seen this idea with different graphics. I’m tinkering with which one I like best. A) Grow Your Mind (Flower Idea) or B) Which Step Have You Reached Today? Idea #3: Growth Mindset Pennant Banner. This is from TheDaringEnglsihTeacher on TPT. My idea is to have staff members fill these out and display these as a border. Idea 4: The Power of Yet… got this from Pinterest and I love the superhero theme visual combined with this Growth Mindset message. 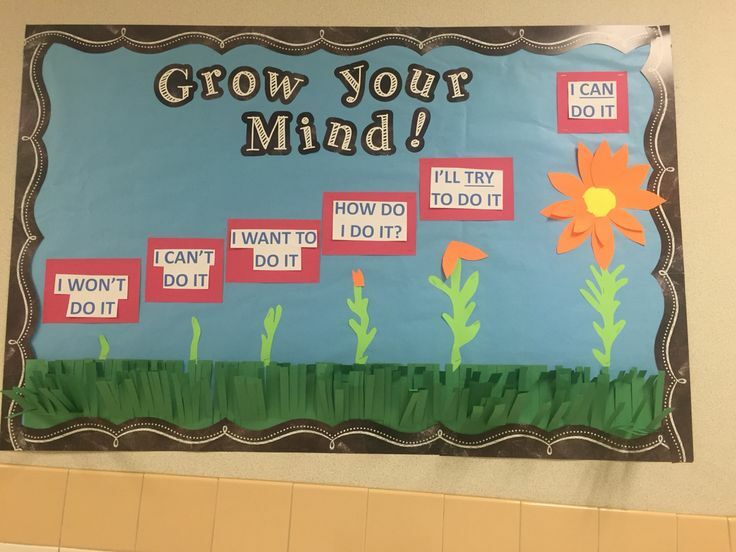 Idea 5: I like that this post (originally pinned by lisachakhmoukhametet@icloud.com) has multiple components and parts of growth mindset on one board. As always, please let me know if you have any questions, feedback or other ideas I can add here! ← Previous Previous post: Starting the Year: Intro Lesson and Then What?? Lisa, How did you introduce growth mindset to your teachers? Last year I sent out the link of Carol Dweck’s TED Talk (it’s about 10 minutes). I think many of the teachers learned about it as I was teaching it to the kids. I followed up my lessons with sending links to the teachers about the aspect of growth mindset that I taught that week (ie: grit, the power of yet. etc).